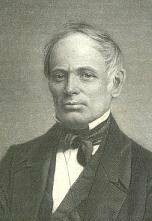 Adin Ballou was an American prominent proponent of pacifism, socialism and abolitionism, and the founder of the Hopedale Community. Through his long career as a Universalist, and then Unitarian minister, he tirelessly sought social reform through his radical Christian and socialist views. His writings drew the admiration of Leo Tolstoy, who sponsored Russian translations of some of Ballou's works.